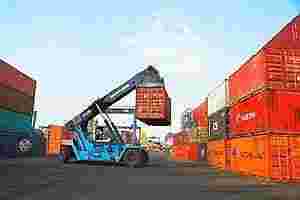 Bangalore: In another boost to cargo terminal operators, the Bombay high court has asked the port tariff regulator to reconsider its decision to cut rates at Speedy Multimodes Pvt. Ltd’s container freight station in Jawaharlal Nehru (JN) Port. S. Krishnamoorthy, managing director of Speedy Multimodes, confirmed that the Bombay high court has, in an order passed a few days ago, asked the Tariff Authority for Major Ports (TAMP) to relook into the tariff issue. TAMP sets rates for the 11 state-owned major ports. “The court has given Speedy the option to submit a new proposal to the tariff regulator for revising tariffs at the container freight station," said a TAMP official. He did not want to be named because he is not authorized to speak with the media. Mint could not independently verify the contents of the court order. The tariff regulator is facing stiff legal opposition from container cargo terminal operators to its decision to reduce the fees. Speedy’s is the second recent instance of a service provider litigating against a TAMP order. Earlier, in September 2006, PSA-Sical Terminals Ltd had filed a writ petition in the Madras high court against the regulator’s decision to cut tariffs at its container terminal in Tuticorin Port by 54%. The court has since quashed the decision and had asked the regulator to pass a fresh order. A container freight station is a facility that decongests a port by shifting cargo and customs-related activities outside the port area. Speedy, which runs the largest container freight station at JN Port, had filed a proposal with the tariff regulator in November 2006 to hike rates by 88-151%. TAMP, however, decided to slash the rates by 15% after studying the proposal. “The existing tariff, if continued for the next three years, would provide Speedy with a surplus of Rs28.39 crore. This authority, therefore, decided to effect an across-the-board reduction of 15% in the existing tariffs," TAMP had said in a notification dated 23 July 2007. Speedy filed a writ petition in the Bombay high court against TAMP’s decision. The court, in an interim ruling, stayed the regulator’s order and allowed Speedy to levy the existing rates. The existing rate of Rs1,350 per TEU, or twenty-foot equivalent unit, was approved by the tariff regulator in 1998. A TEU is the standard size of a container and a common industry measure of capacity. Speedy was awarded a contract to maintain, manage and operate the 120,000 TEU capacity station and buffer yard owned by JN Port for 20 years from 1 January 2006, which can be extended another 10 years, based on performance. There are 18 such freight station operators, including Gateway Distriparks Ltd, AllCargo Global Logistics Ltd and Balmer Lawrie and Co. Ltd that service JN Port, which handles some 60% of all container cargo moving through the country’s ports. But Speedy manages the only container station whose tariffs are regulated by TAMP. Its 54-acre facility is owned by JN Port. Speedy had argued in its proposal that the tariff, set in 1998, was “wholly inadequate" to meet the cost of running such a station as operating expenses had gone up significantly. In PSA-Sical’s case, a new ruling on tariffs at the Tuticorin container terminal is yet to come even a year after the Madras high court’s order, as the regulator is waiting for direction from the shipping ministry on key issues relating to the case, said an official at the Tuticorin port in Tamil Nadu. To avoid such disputes, the government has decided to include a clause in future cargo-handling contracts between state-owned major ports and private operators, linking tariffs to the Wholesale Price Index, India’s benchmark measure of inflation. As per the new policy, these operators will be able to increase rates by up to 60% at the beginning of every year to account for rising costs. Companies such as Speedy, however, will not be able to increase rates without amending their existing agreements with state-owned ports.